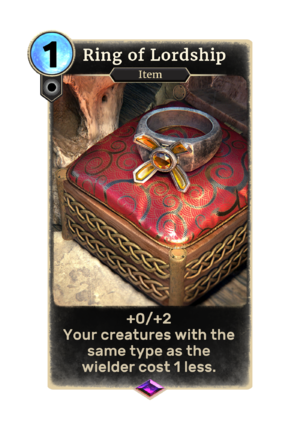 Ring of Lordship is an epic Neutral item card. It is part of the Isle of Madness story set. The Ring of Lordship previously appeared in the Shivering Isles expansion for Oblivion.